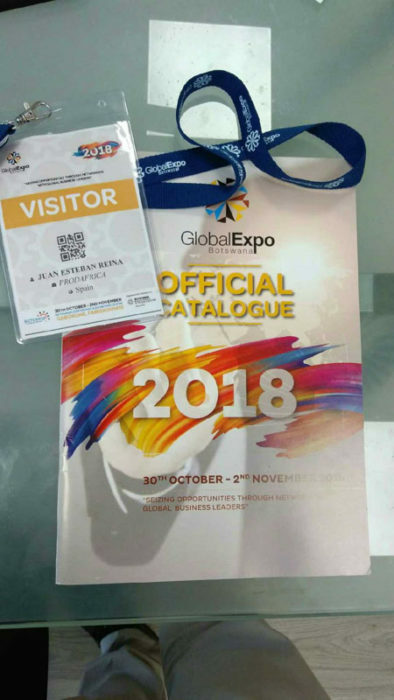 A few days ago, at the end of October, the Global Expo 2018 fair was held in Gaborone, the capital of Botswana. For some years this event has been held aimed at enhancing business relationships between companies in the country and outside the country. More than 100 exhibitors and more than 400 registered visitors, make the fair, an important regional event, but it is not enough, we must take another step towards the future. Global Expo has to be the great event for business in Austral Africa. 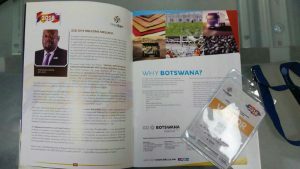 Botswana has the resources (economic and human) and the vocation to be the service hub of southern Africa. And how to achieve it, having a capital such as Johannesburg, less than 400 km away, with the airport and the most important infrastructures in Africa? Basically, betting on the quality of the event. To obtain more foreign presence thanks to th e quality of the potential business to be carried out. And not only to business, but also to other factors to which I will refer later. Except for an Italian and another Swedish exhibitor, I got the feeling that ProdAfrica was the only visitor from Europe. And that is why we have to bet, to attract exhibitors and visitors from Europe, America and Asia to the event. That the fatigue of flying 15 hours to Gaborone is covered by success in the expected objective. And with that, it is not enough to fill the booth. Fill it with proposals, fill it with activities, but also spaces for communication, conversation and meeting, which is where you end up defining the details in business. These are the other factors that we mentioned before, which are fundamental for attracting visitors and exhibitors. The importance of connectivity can not be underestimated. And above all, quality connectivity. The fair has to guarantee a good (not to say excellent) connectivity between companies, businessmen, institutions, and even, walkers. The information is basic, decide to go to an event in the other part of the world, it has to come given that I have all the information, and how, because they "sell" me, that I can do great business. And of course, betting on a pleasant stay that allows visitors to return to their places of origin with the intention of returning to Gaborone, and not only because they have done (or not) good business, but also because they should recommend Gaborone as a city that should be visited. But business tourism is growing with such magnitude that we can not leave it aside. A visitor must be able to have access to a good offer of leisure, and restoration. And Gaborone has all the capabilities to configure the best possible regional fairs. I repeat, it can offer good business and can offer an experience that makes the business man return is an option to consider. And finally, from this brief approximation to the Global Expo, have to make a constant promotion, (which does not mean spending huge amounts of money) of the event all over the world, and it is in Europe. Have to show in Europe that the Global Expo exists and that have to go. No more no less. There is a marketing of constancy, of perseverance, of daily work that allows to introduce the Global Expo in the business circuits, as an event to which we must consider attending. ProdAfrica Consulting can help in all this. Juan Esteban Reina (Barcelona). Degree in Human Geography. Heads the ProdAfrica team. 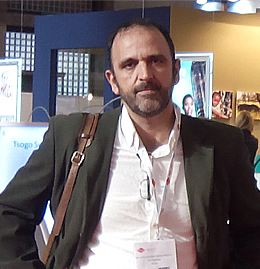 Spcialist in urbanism, geomarketing and tourism. He is currently developing projects oriented to consultancy especially in fields such as tourism, business and commercial development, as well as promoting business between Africa and Europe. His passion is Africa. He firmly believes in the future of the continent and the ability of its people to achieve a better future for future generations.